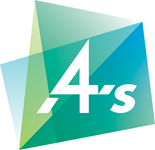 The 4A’s Institute of Advanced Advertising Studies (IAAS) program has trained some of the best and brightest industry professionals in the business. In fact, many of today’s top agency executives are IAAS graduates. Best of all, students develop their skills by working on an actual client assignment in a team environment. The Institute is designed for junior professionals with one to five years’ experience. The program is beneficial to all agency disciplines. After graduating from the Institute, participants will return to work with a better sense of the big picture, an enhanced ability to work in a team environment and a renewed passion for doing excellent work. The purpose of the IAAS is to provide exceptional junior professionals with the chance to jump-start their careers and increase their contributions to their agencies. It is an efficient, cost-effective training program. The cost for the 2017 IAAS program is $1,300 for the first participant from a 4A’s member agency, $1,200 for the second and $1,100 for subsequent registrants. The price for non-4A’s members is $1,500 per person. The faculty, judges and mentors, recruited from leading agencies, are all seasoned veterans from their organizations. The course runs from January 10 – March 21, 2017, culminating with individual “agency” presentations to representatives from Holiday Inn Express in a quest to “win” the business. In late March, the students will be recognized and the winning team announced at a graduation celebration. All sessions will be held at the Creative Circus. Classes begin at 6 PM and conclude at 9 PM. The registration deadline for the 4A’s Atlanta Institute of Advanced Advertising Studies is Tuesday, January 3, 2017. We hope you’ll make this investment in your agency by registering your rising stars. Working in tandem with Holiday Inn Express is a once-in-a-lifetime opportunity. NOTE: We are anticipating a very quick sellout, so we would urge you to register as soon as possible. To reserve your space, contact Cecilia Graham at (212) 850-0756 or cecilia@aaaa.org Or Click here to Register Online.